I’ve been thinking about my next App-O-Rama recently, due to the plethora of credit card bonuses recently. I’m sure you’ve heard about those offers. It seems every points/travel blog has been shoving these offers down their readers throats lately. Frankly, it’s absurd how many posts there have been for these offers, but that’s not what this is about. I’m planning my next AOR for the end of June or early July. However, with all these offers recently I considered moving it up to get in on the Chase Ink promotion. Ultimately, I changed my mind; 10,000 UR points is not worth the risk of denied applications. I’m also a planner; spontaneity is far from my strong suit. 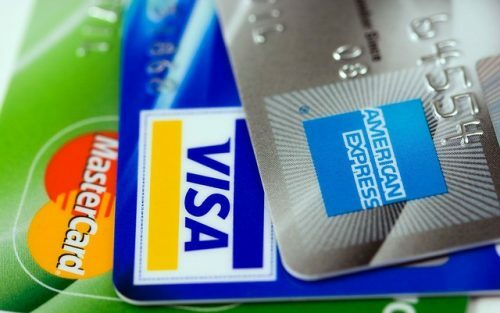 The Everyday personal card – 25,000 MR points after spending $2,000. No annual fee. The Gold personal card – 25,000 MR points after spending $2,000. $175 annual fee waived the first year. The Gold business card – 50,000 MR points after spending $5,000. $175 annual fee waived the first year. The Platinum business card – 100,000 MR points after spending $5,000. $450 annual fee. The Everyday Preferred interests me far more than the regular Everyday card, but the 25,000 MR point sign-up bonus is 10,000 more than the Preferred bonus. So, that card is a possibility. If I end up getting it, I will upgrade it to the Preferred at some point. The Gold personal and business interest me, but I won’t be considering them at all for this AOR. Those bonuses are regularly available, so I’m not going to waster a hard pull on them just yet. The Platinum card will definitely be a part of my next AOR, because 100,000 MR points is an awesome bonus! That’s the highest bonus I’ve ever seen or heard of for this card, so I won’t be passing it up. On top of the great sign-up bonus, Amex is now offering free Boingo Internet with their Platinum card. The other 3-4 cards are up in the air. I’m considering the Amex SPG personal card, as well as the Southwest Premier business and personal cards, and a few others. I’m waiting to see what other cards get increased sign-up bonuses from now until the end of June, before I make any final decisions. How are your App-O-Ramas looking? Do you have one coming up or are you just manufacturing through the summer?